Chipper Plus CX-750 | Welcome to A.P.E. 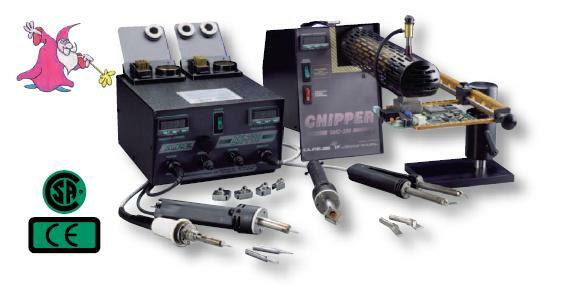 A combination system, which includes the EX-750 and the new Chipper Hot Air SMT Rework System . These two products provide an economic versatile solution to mixed technology applications, requiring Through-Hole, Contact and Hot Air SMT features.